My interest in Imminent Sonic Destruction started with their unique name. If that moniker doesn't stimulate some investigative interest, you need to bump up your curiosity level. 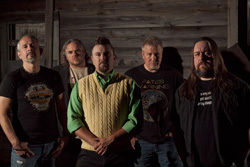 Hailing from Detroit and lead by guitarist and vocalist, founder and principal songwriter Tony Piccoli, the band plays a hybrid of traditional and modern progressive metal. Triumphia is their second album. While their name has generated some interest in the past, I can't say my interest level for this album is all that high. Mostly this is due to the continued use of death and dirty vocals in the songs. It's probably the single reason, once this review is written, I will not be listening to the album again. Nevertheless, the album is not without its merits. One is the sophistication of the arrangements. Largely built around Piccoli's guitar and voice, the songs rise and fall around his guitar lines, massive riffage, and technical leads. Yet another thing of interest is the juxtaposition of heaviness with near delicate lightness. This comes from positioning of piano against Piccoli's thick riffage and an overall rather dense sound. It's found at the start with The Crashing Waves, yet also within The Fog, slightly lessened in Sleepless. This contrast is done differently within the album's magnum opus, Arborous Calm. Early in this 23 minute epic, softness comes from acoustic guitar, before the choppy, almost staccato at times, riffs emerge. But you'll also catch the piano line once more if listen carefully. But mostly the song is Piccoli's ambitious and assertive riff barrage and then overloaded with his brisk guitar solos. Overall, this song is the most impressive of the bunch. So what's the bottom line? 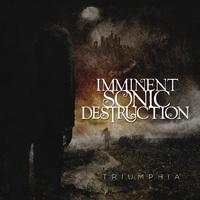 Put simply: if, in the past, you liked Imminent Sonic Destruction's approach to more modern progressive metal, you will enjoy Triumphia. 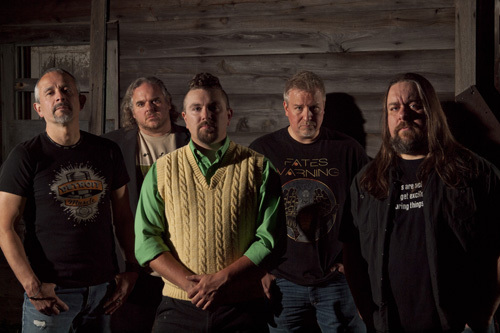 If, in the past, you liked Imminent Sonic Destruction's approach to more modern progressive metal, you will enjoy Triumphia.